When it comes to professional flash memory products, there definitely aren’t very many product lineups as popular as SanDisk’s Extreme PRO series – and for good reason too. SanDisk’s Extreme PRO series products tend to feature not only high performance and capacity, but also industry leading warranties that simply aren’t available from competitors. While SanDisk has had Extreme PRO series memory cards for many years, SanDisk has recently begun expanding the Extreme PRO lineup to SSDs and now flash drives as well to provide professionals an easy choice when selecting fast and reliable flash storage. 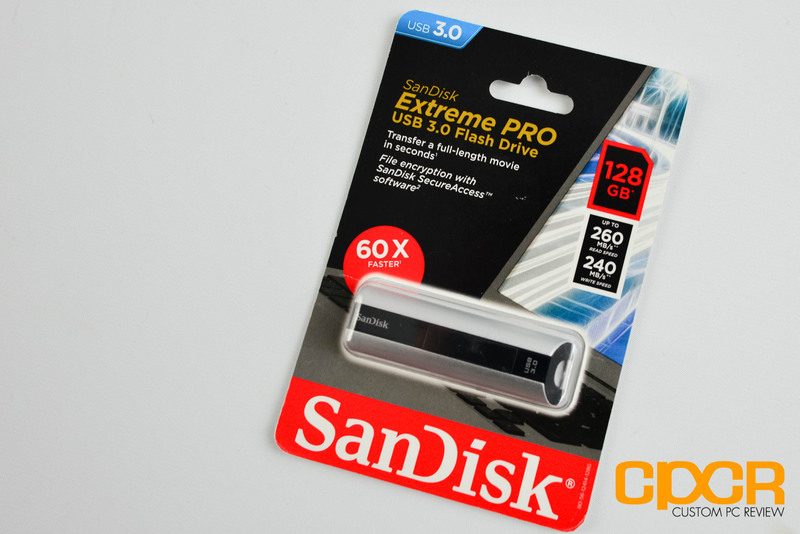 Today we’ll be reviewing the all new SanDisk Extreme PRO 128GB USB 3.0 flash drive which will dethrone the SanDisk Extreme USB 3.0 flash drive as the fastest flash drive in SanDisk’s lineup. The SanDisk Extreme PRO is SanDisk’s first entry into this ultra-premium professional flash drive market and they’re definitely doing it with a bang. Currently available in only the 128GB capacity, the drive is capable of performance up to 260MB/s reads and 240MB/s writes making it a perfect drive for creative or IT professionals who need to move lots of data around quickly and reliably. The drive also rocks a limited lifetime warranty as well, which is a feature you don’t really see too often with flash drives. Here’s a look at the packaging for the SanDisk Extreme PRO 128GB USB 3.0 Flash Drive. Included in the packaging is a product key for the RescuePRO Deluxe software along with the SanDisk Extreme PRO Flash Drive. The drive is encased in an aluminum shell with a small plastic switch in the center which is used to push the USB connector out of the housing. 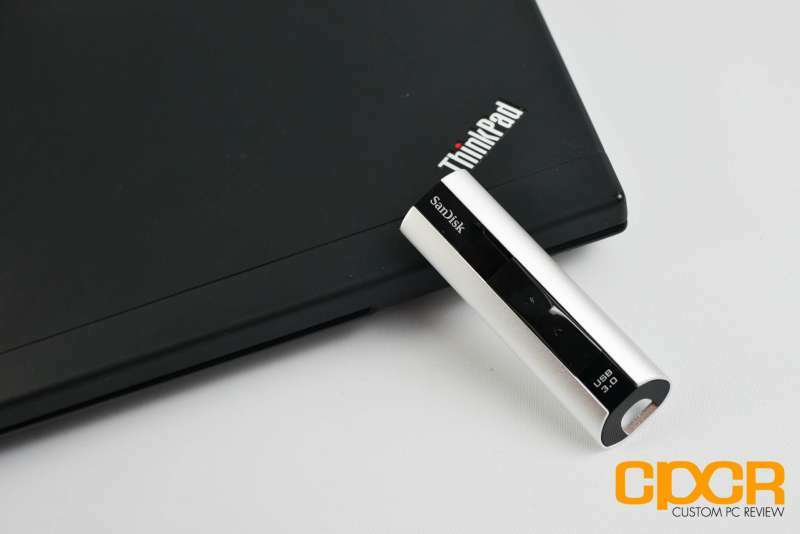 Overall it’s among the more portable designs for a high performance, high capacity USB 3.0 flash drive. 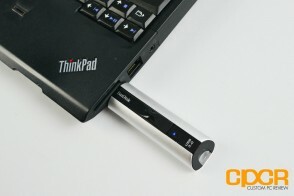 Here’s a look at the drive with the USB 3.0 connector extended. The slider mechanism is extremely smooth and the build quality reflects well on the Extreme PRO name. 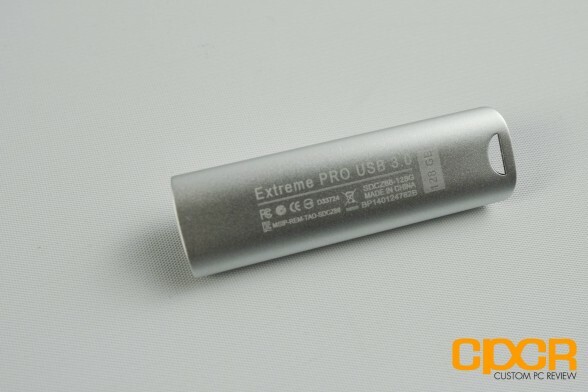 Here’s a look at the bottom of the SanDisk Extreme PRO 128GB USB 3.0 flash drive. We get some information such as drive capacity, serial number, etc. Up top there’s also a slot for a lanyard or keychain as well. 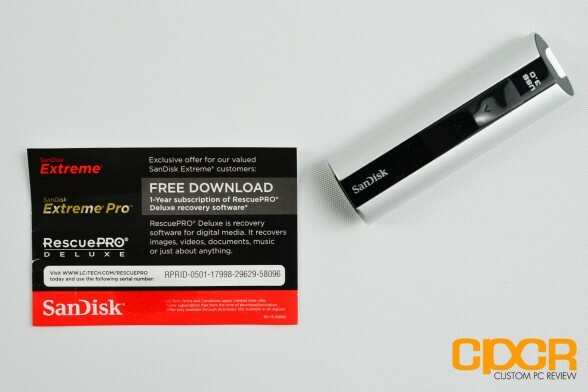 SanDisk advertises the SanDisk Extreme PRO 128GB USB 3.0 Flash Drive as capable of up to 260 MB/s sequential reads and up to 240 MB/s sequential writes. 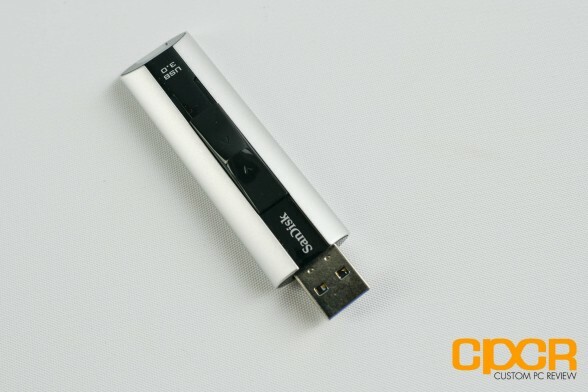 In testing, the drive was able to reach 268.2 MB/s sequential reads and 251.9 MB/s sequential writes, which makes it the fastest USB 3.0 flash drive we’ve tested to date and faster than its rated specs which is a very good thing. 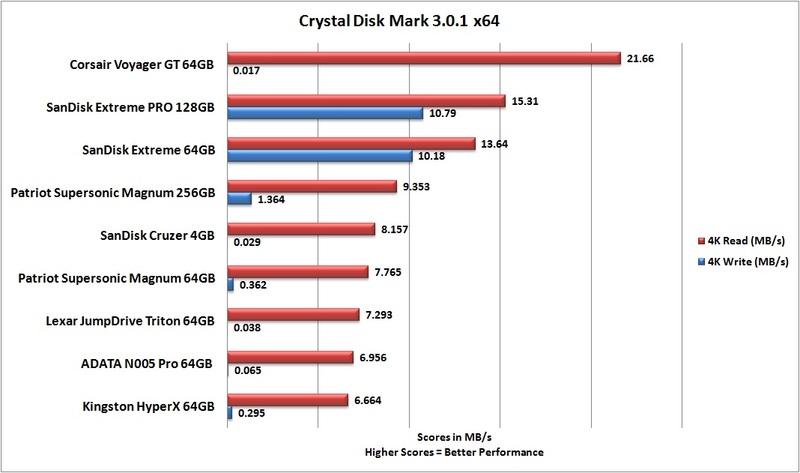 4K performance for the SanDisk Extreme PRO 128GB USB 3.0 Flash Drive was equally impressive as well with 4K reads reaching 13.64 MB/s and 4K writes reaching 10.79 MB/s. 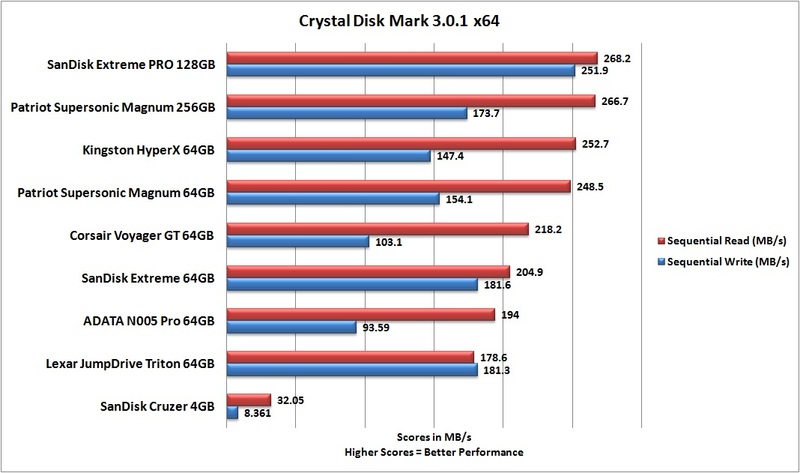 While the Corsair Voyager GT 64GB does offer superior 4K read performance, the SanDisk flash drives demolish every other drive in 4K write performance. This is important for those intending to install portable operating systems or other applications that frequently write small 4K sized files. The SanDisk Extreme PRO 128GB USB 3.0 flash drive is SanDisk’s first entry into the ultra-premium USB 3.0 flash drive market and it’s definitely a product that lives up to its name. The build quality of the drive extremely good and the aluminum construction of the drive gives the drive not only a very premium feel, but also makes the drive feel a lot more durable than its plastic non-PRO brethren. 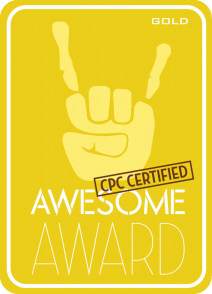 Performance on the drive was also stellar and in our sequential read/write testing, the drive easily blew past all competitors reaching read and write performance exceeding its rated specifications. 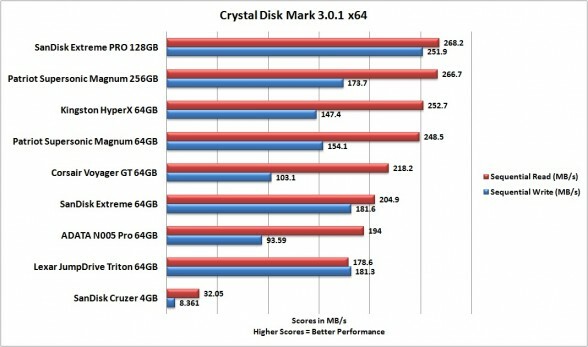 The SanDisk flash drives in our roundup also performed very well in random reads and especially in random writes making it not only an excellent drive for creative professionals who’d like to move around large files such as photo or video, but also for IT professionals and enthusiasts looking to use the drive for portable operating systems or installers. SanDisk is also including SanDisk SecureAccess software which offers file encryption and RescuePRO Deluxe software which offers file recovery for deleted files. It’s important to note however, that the SanDisk Extreme PRO does not offer hardware encryption, so encrypting and decrypting files via SecureAccess will be dependent on your system and will also hog up system resources. Those looking for a drive to constantly store sensitive information should definitely look into a flash drive with hardware encryption built in such as the Kingston DataTraveler Locker+ G3. The SanDisk Extreme PRO 128GB USB 3.0 flash drive can currently be found at various e-tailors for ~$114.95 (~$0.90/GB) which makes it one of the most expensive flash drives on the market. That said, it’s the fastest USB 3.0 flash drive we’ve tested to date, has a huge capacity, has excellent build quality, is fairly portable, and it includes a lifetime warranty for good measure. There simply isn’t anything like it, even at the $0.90/GB (or higher) pricepoint. Highly recommended!